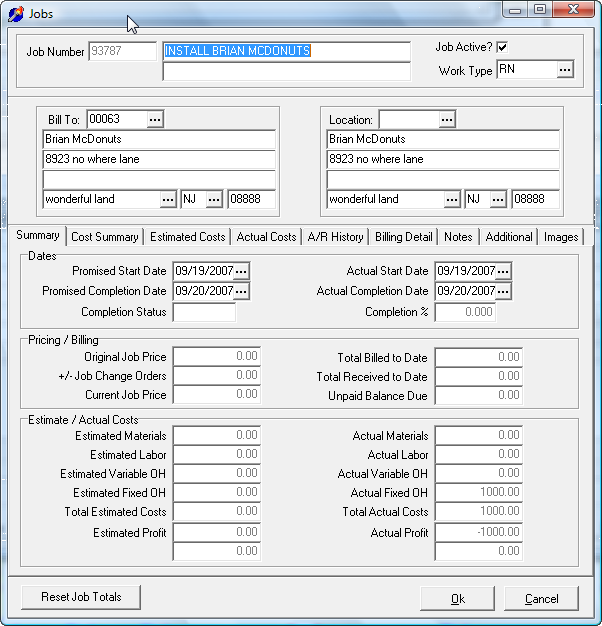 The HVAC Office is a suite of programs designed to perform all of the functions needed by the HVAC service contractor to handle service work order dispatch, invoicing, and office accounting. 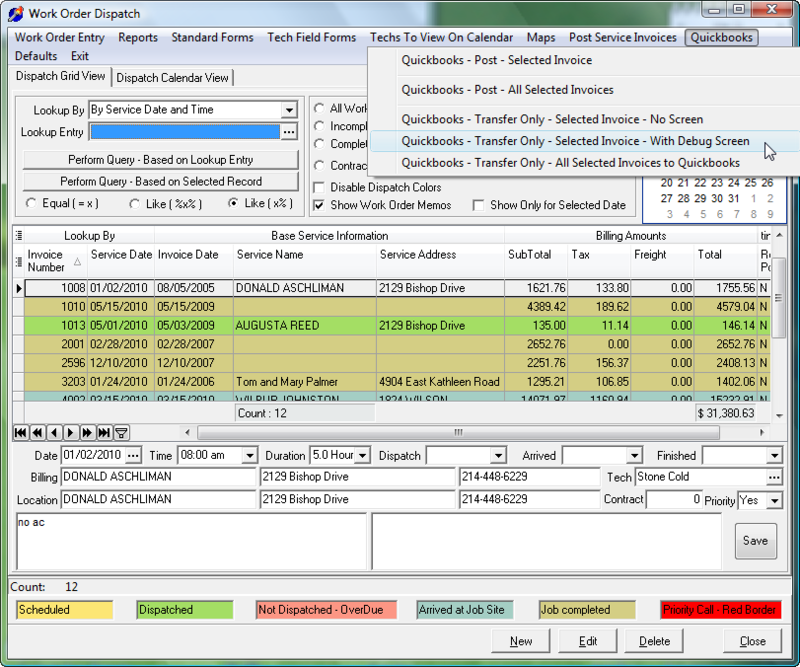 The main work area of the program is the service dispatch area where customer work orders are entered, dispatched, and invoiced. Keep track of ongoing customer maintenance service agreements with the customer contract area. 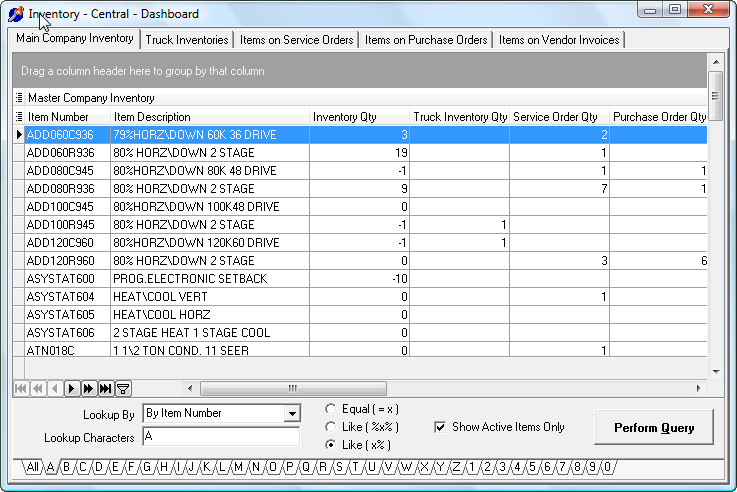 The inventory area and management reports give you a complete look of item usage and needs. 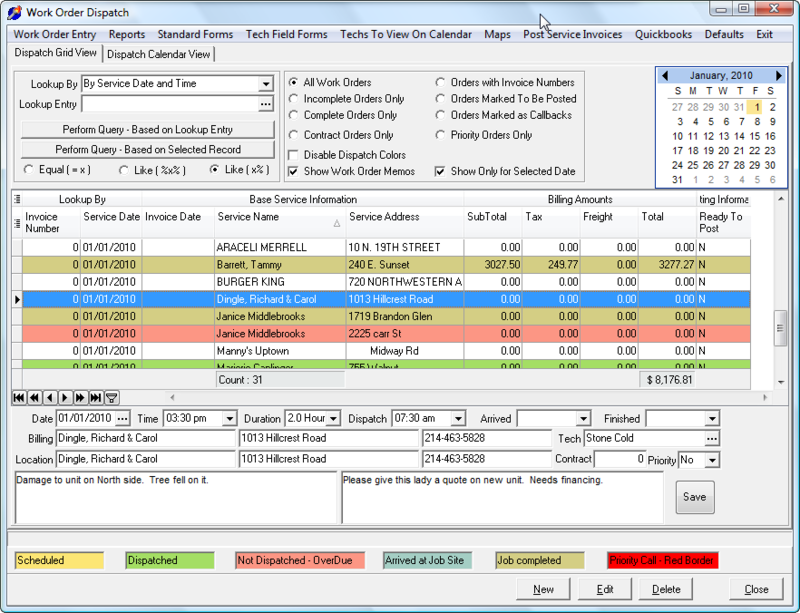 There is an integrated flat rate catalog area where you can enter and print your own flat rate catalogs for your technicians as well as being able to import from your purchased flat rate catalog vendors. 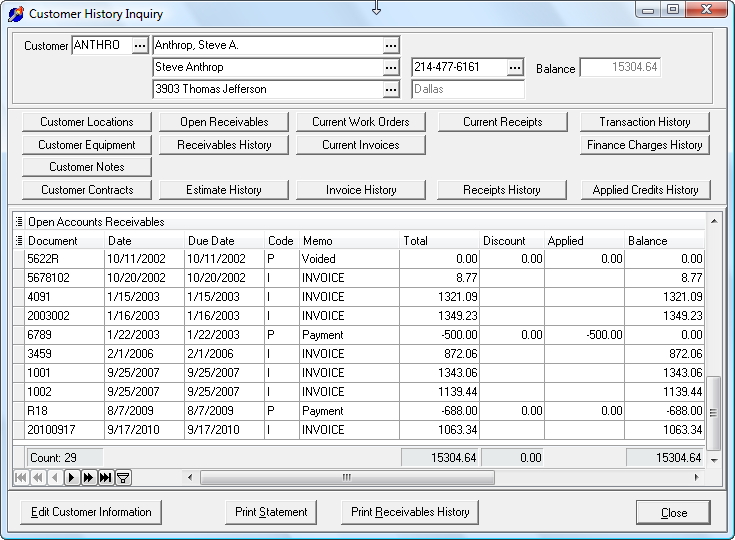 A complete history is maintained of customer invoices and receipts as well as service time sheet entry and equipment notes. 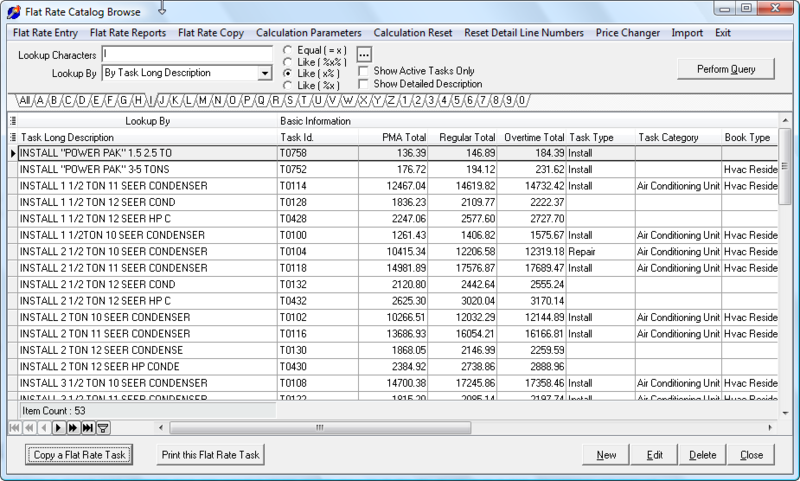 A full job costing module is included to determine job related revenue and costing. Customer invoices, receipts, purchase orders, and timesheet entries are easily transferred to Quickbooks utilizing our Is2 Quickbooks Xml Server. 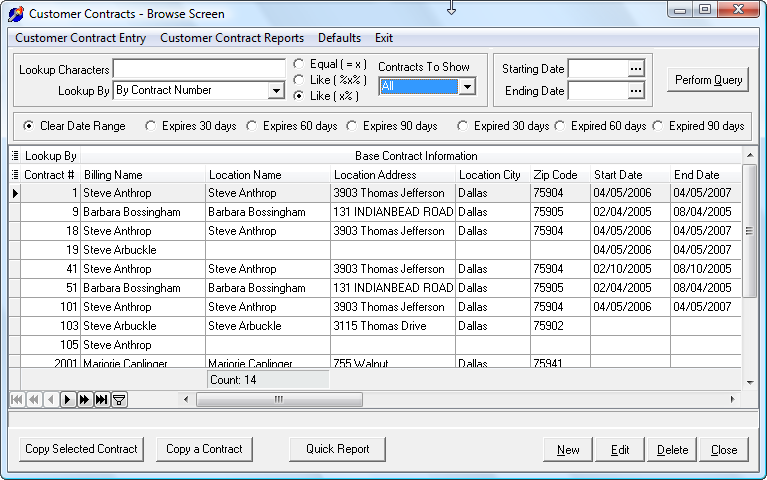 Customers, inventory items, and vendors are added to Quickbooks automatically as documents are transferred. 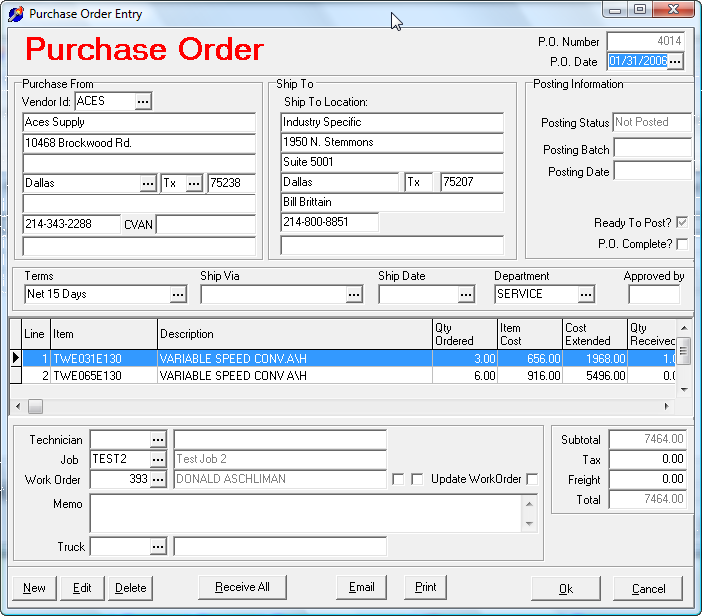 Purchase orders are integrated with work order entry to better keep track of job related expenses.